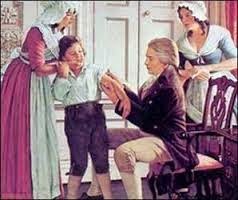 “In the Winter of 1764, the Small Pox prevailing in Boston, I went with my Brother into Town and was inocculated under the Direction of Dr. Nathaniel Perkins and Dr. Joseph Warren. This Distemper was very terrible even by Inocculation at that time. My Physicians dreaded it, and prepared me, by a milk Diet and a Course of Mercurial Preparations, till they reduced me very low before they performed the operation. They continued to feed me with Milk and Mercury through the whole Course of it, and salivated me to such a degree, that every tooth in my head became so loose that I believe I could have pulled them all with my Thumb and finger. 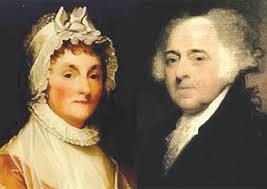 By such means they conquered the Small Pox, which I had very lightly, but they rendered me incapable … of speaking or eating in my old Age, in short they brought me into the same Situation with my Friend Washington, who attributed his misfortune to cracking of Walnuts in his Youth. In 1775, Abigail had herself and her children inoculated. After three weeks, their son Charles Francis became ill and was unconscious and delirious for two days. To fight the epidemic that spread throughout the colonies and as far away as Mexico, General George Washington, at first, tried quarantining his men who were sick. He also ordered his men to be inoculated. It was said that the British deliberately tried to spread smallpox among the Americans by sending the infected to the colonies. 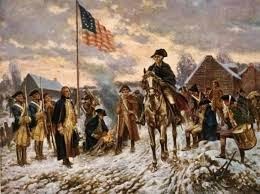 There were so many cases of small pox in Boston that General Washington postponed his siege of the city. He said, "If we escape the small pox in this camp and the country around about, it will be miraculous." When General Howe evacuated Boston, Washington sent in his men who had already had the disease. 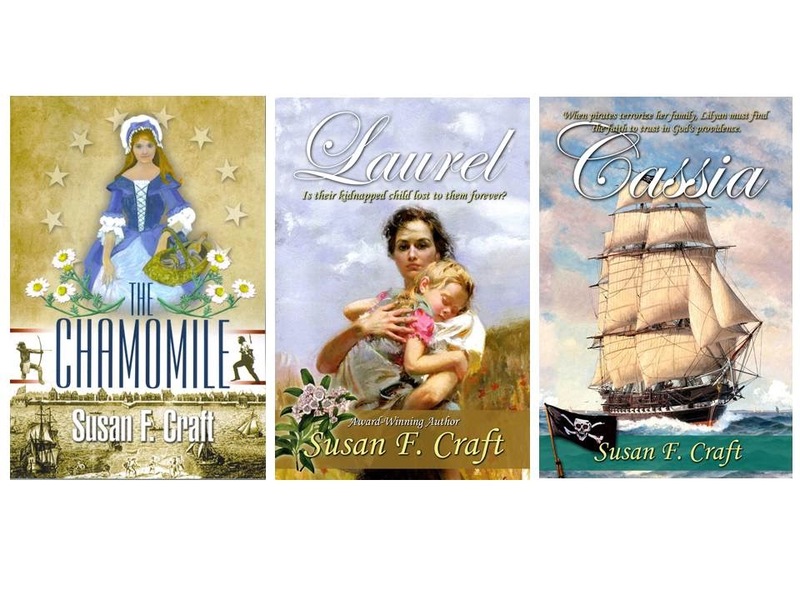 Following is an excerpt from my post-Revolutionary War novel, Laurel. My characters are discussing small pox. “But how?” Lilyan was stunned. 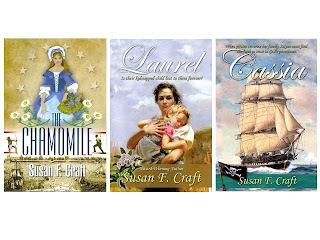 Susan F. Craft is the author of a trilogy of historical suspense novels: The Chamomile (published in 2011), Laurel (published in January 2015), and Cassia, to be released in September 2015. Sharon, thank you, I'm so happy you enjoyed The Chamomile.